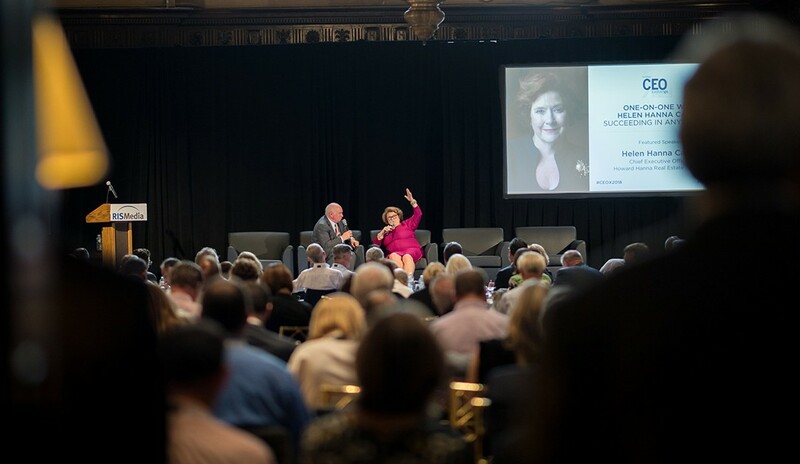 RISMedia’s John Featherston recently sat down with industry icon Helen Hanna Casey, CEO of Howard Hanna Real Estate Services, at RISMedia’s 2018 Real Estate CEO Exchange, held at the Harvard Club of New York City September 5 and 6. 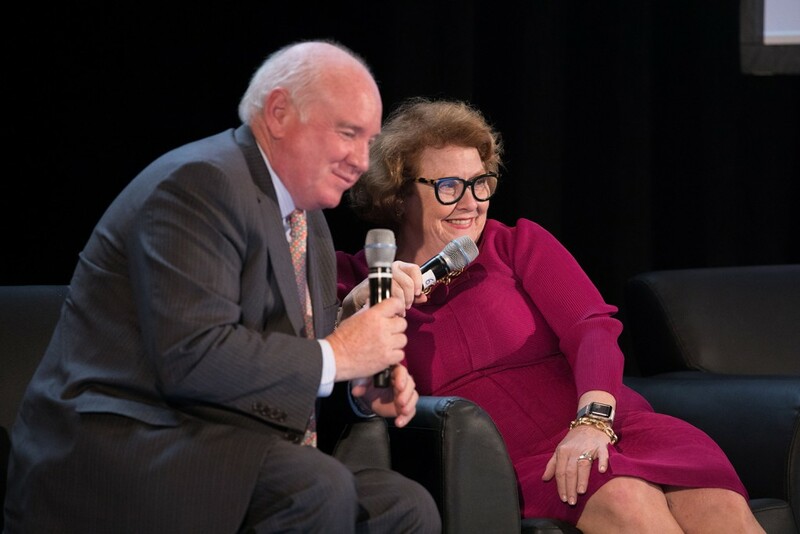 In the “One-on-One With Helen Hanna Casey: Succeeding in Any Market,” Casey shared insights on the firm’s operational strategies, which have led to decades of growth—including to the No. 4 brokerage in the nation for sales volume, according to RISMedia’s 2018 Power Broker Report & Survey. John Featherston: Thank you for joining us! Tell us: What makes your company poised for great growth in the future? Helen Hanna Casey: We always focus on what’s ahead and never behind. We don’t look at who is beside us; we look to the future. We have leadership that is incredible, we have innovators and we have really great salespersons. That’s really helped us grow. JF: You don’t shy away from being a one-stop-shop. Tell us about that. HHC: It’s part of our philosophy and culture. Most people came into the mortgage business in the ’90s, and we had our first mortgage company in 1980 and first title company in 1983. We’ve had insurance since the ’80s, too. We’ve always prided ourselves in listings, selling, franchising, relocation…and it’s all based on one thing: being a marketing company. Today, we’re listening to everyone debate whether the industry is agent-centric or consumer-centric. It’s always been both. One customer is the agent, manager and employees, which we don’t talk enough about. The other consumer is the public. We are here to do it all for you. JF: How do you consistently find and fill managerial positions? HHC: We bring in speakers, we have leadership academies and we bring in people from the business. They have to have a mindset that is different from sales—everyone is so worried about that base number that they don’t see the potential. You need to have your own managers identifying [internal candidates] and have your managers identifying from other companies, as well. We have been smart enough to see people in the marketplace that might be smarter than we are and who we can learn from. JF: What can you share about budgeting? HHC: Financial backing and budgeting are the most important things we have supporting us out there. People who have chosen to partner with us want us to be financially secure. If an office needs to be repainted, they want to know that there’s money to do it, and that we can afford to seize opportunities when they come along. We start at the very base. Each one of our offices starts planning for the year with their employees. These individual office meetings are based on market knowledge and what is happening in the industry, instead of sitting with managers each year. Also, there has to be consequences. Managers have to be accountable to the budget they are building. How do you offset if people don’t meet their goal? All offices are profit centers and all managers know every day of the year what their profits are. We are very much numbers-oriented—we based our business on that. JF: How does your firm digest new business opportunities, and how do you implement them? 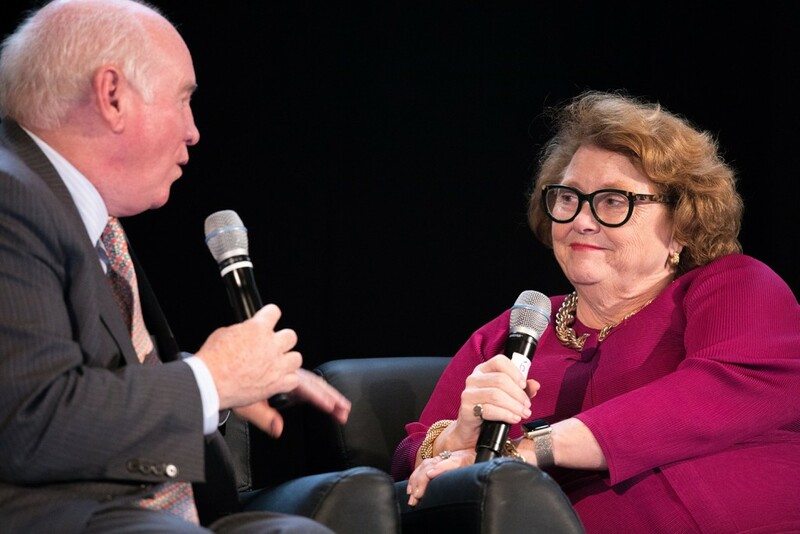 HHC: We do not develop technology—because we are not a tech company—but we do buy it, and, more importantly, we adopt it and we invest in it. MoxiWorks functions really well as a plug-and-play system, and everyone on our intranet site works with them. We look at that as our future and carefully make choices to market to our sales associates and consumers to make the best product for them. When we get an idea, we have to sell each other on it. JF: Speaking of new ideas, your father was a disintermediator. How do you feel about industry disruptors? HHC: We’ve all made changes—and, yes, these changes make us better. If we can’t admit that [industry disruptors] make us better, then that is a mistake. Why do we think they are so different from us? We all do business in different ways. Next year, mix us all up. JF: Point taken! Last question: What guidance can you provide to other brokerages? HHC: I could spend a long time talking about budgeting process—you have to take risk to take reward, and that includes financial risk. You have to grow organically to be able to grow beyond, and you’ve got to control your own market—not by adding 15 new offices, but by getting marketshare and acquiring first. There may never be a better time than now to acquire real estate companies. Why? Because a lot of us are old. It goes back to succession plans. A lot of brokers may have saved and had a good life, but they may not have a succession plan. Lastly, you’ve got to have guts, financial planning, some luck, and…you’ve got to see what the future is and grasp it.